It’s no secret General Electric is investing heavily to become a leader in additive manufacturing, with it’s CEO noting that nearly a quarter of all GE components could be affected by the technology. Yesterday, GE announced another big investment in AM, via it’s venture arm, committing resources to one of the country’s most promising manufacturing startups — Maryland based Xometry. Xometry matches 3d printing and CNC machining shops with businesses, academic institutions and people needing custom parts in advanced materials. While that may not jump out as big business, it’s worth nearly $50 billion a year in the US. 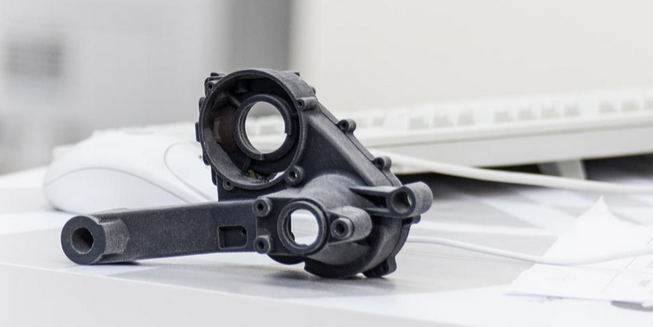 The Army, MIT, NASA and others are using Xometry’s platform to have parts made, and this investment from General Electric moves the company further into the software end of industrial 3d printing, on top of existing technologies they employ to manufacture parts on their own — including engine parts — and electronics. GE Ventures Invests in American Local Manufacturing was originally published in 3dprintingtech on Medium, where people are continuing the conversation by highlighting and responding to this story.